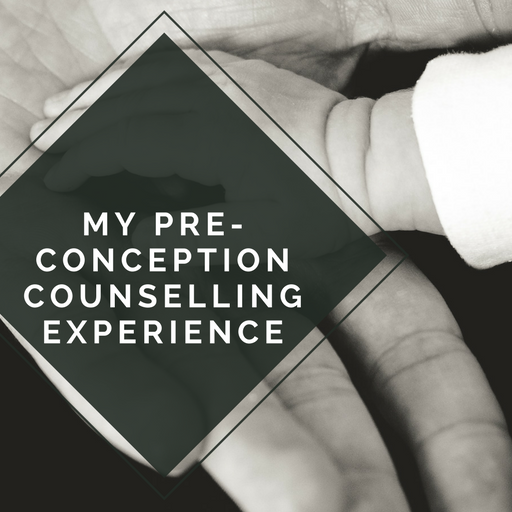 When it comes to pregnancy, counselling isn't the first thing you think about. However, when you have epilepsy, or other disability that may affect your pregnancy, you start thinking about pregnancy a long time before the actual conception takes place. With disability, risk follows and this can be a very scary prospect. That's why we went to the doctors a few years before we even started to try to conceive. We wanted all the details about how Epilepsy could affect not only our future child, but also myself. 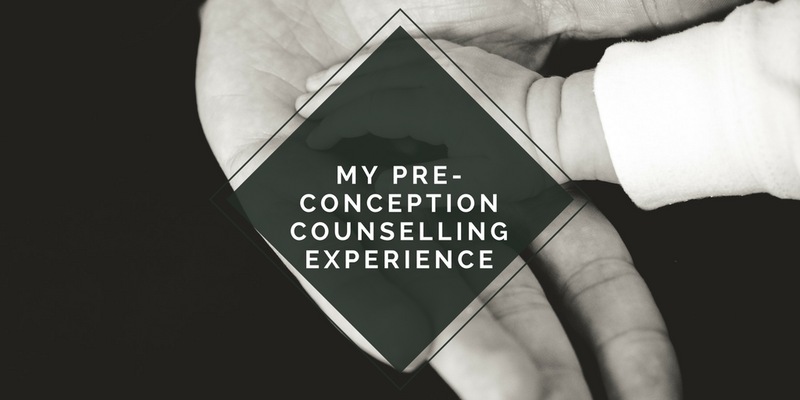 I've decided to share my experience with pre-conception counselling as I didn't really find much information about what to expect when we started exploring our options. I thought the best way to talk about my experience is to break it down in to the different appointments that took place. I will start with the discussion I had with my husband, and then talk about how the appointments went with the various doctors we saw. My husband also has epilepsy, so I think this made it easier for us to talk about having a child years before we actually planned to start trying. 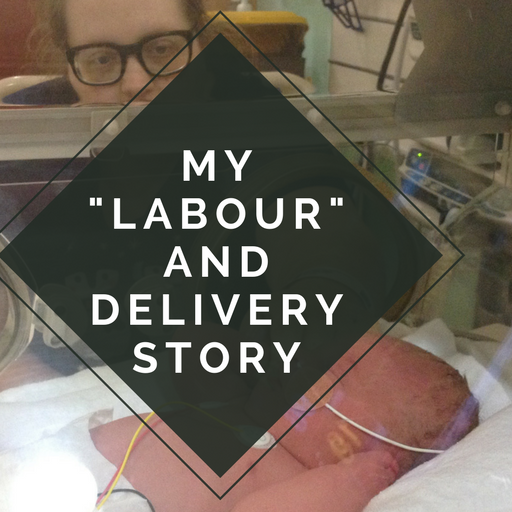 We both wanted to know what the risks were, and what steps we needed to take to have a safe pregnancy. We knew that it would take more planning than a "normal" pregnancy, so we wanted to be prepared. We actually started discussing this in 2012 just before we got married. We didn't actually become pregnant until 2015 so this shows how forward our planning was! 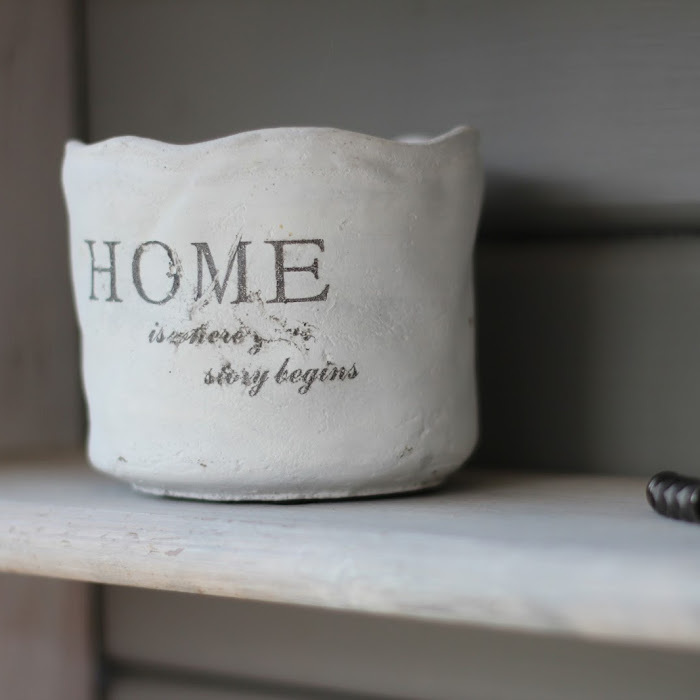 I spoke with my husband and we discussed how we wanted to speak with our doctor so we knew exactly what the risks were, and if we needed to do anything to prepare. As we didn't know what to expect, we first went to our regular doctor to ask advice about epilepsy and pregnancy. As our doctor isn't a specialist in epilepsy, he decided to refer us to a specialist at the local hospital, so we could ask any questions that we might have. This meant that we could have a joint appointment for the sole purpose of discussing our concerns surrounding pregnancy, and the doctor would be able to write down notes for us to refer back to. The doctor advised that we would receive a letter in the post for the appointment just like a regular referral. We were both quite nervous about going to see the specialist and hearing all the risks involved in pregnancy when you have epilepsy, but we didn't need to be. The specialist was ready to answer any questions we had, and let us know all the risks associated to the medication we were on. We learnt that there was a slight increased risk of our child having epilepsy as we both have epilepsy, but it wasn't as scary and major as we both first thought. We also learnt that I was on the best medication for during pregnancy (Lamotrigine/Lamictal) as it is the medication with the lowest risk. Epilepsy can cause a higher risk for neurodevelopment problems, minor/major congenital abnormalities (including heart problems or cleft palate). The risk varies depending what medication you take. We found it all very useful as we were able to look at all the figures and facts and see that we still wanted to have a child naturally. - If you have epilepsy but don't take medication during your pregnancy, around 2 in 100 babies will be born with major congenital abnormalities. In women without epilepsy, this is around 1 in 100 babies. - The risk is higher if you take epilepsy medication during pregnancy. For example, if you take Lamotrigine the number rises to 2-3 in 100, and if you take sodium valproate (which my husband takes) the risk can be as high as 10 in 100. - There is a risk that your child may have neurodevelopment issues, particularly with sodium valproate. 30-40 in every 100 babies born to mothers who take sodium valproate during pregnancy will have neurodevelopment problems. 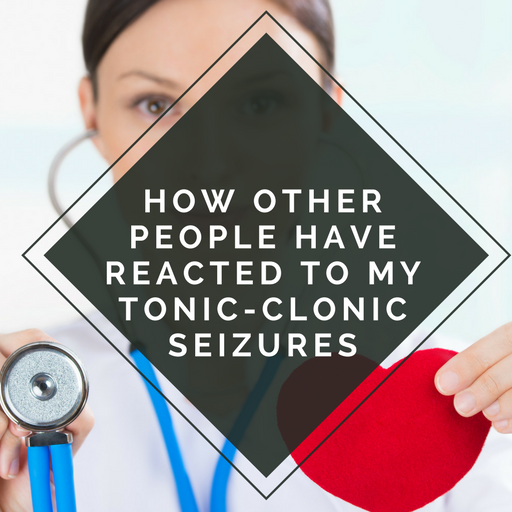 -We were advised that not taking medication could pose a bigger problem during pregnancy, as tonic-clonic seizures can harm your unborn baby. I ended up taking my medication during pregnancy, and even increased my dosage slightly. I was luckily already on a low risk medication, but your doctor may switch your medication to one with a lower risk if this is possible. -Taking folic acid for up to a year before becoming pregnant can help to decrease the risk of your baby having neural tube defects (such as spina bifida). You also need to take folic acid throughout your pregnancy, and it is usually a higher prescribed dose. -Women with epilepsy may have a slightly higher risk of reduced fertility. -Fewer than 15 in 100 babies who have parents with epilepsy will inherit this. It depends on the type of epilepsy the parents have, and what type of seizures they have. After the appointment, we received a letter with the notes from the appointment. This was really helpful as we were able to refer back to this when we were ready to think about getting pregnant. A copy also gets sent to your GP to keep on file. I hope this has been helpful and it has shown you that pre-conception counselling is a positive thing, If you have any questions please feel free to ask, or check out the pregnancy section on Epilepsy Action. Any facts listed in this post have been checked with a reputable source. This is my own experience, and everyone has a different experience. No two types of epilepsy are exactly the same so please consult your GP or specialist with any questions relating to your own pregnancy. This sounds like such a helpful service and its great that you were able to ask questions and get some answers. I can only imagine that it's a very worrying time for you both and yet I hope that you are able to go on and have a healthy pregnancy. 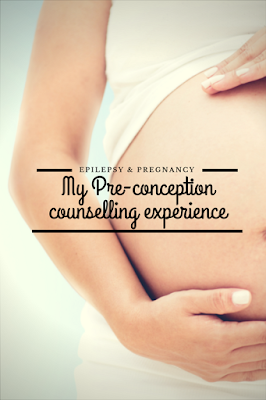 I never really thought about the experience of having epilepsy and being pregnant. I can see where you'd want to have all the information you can and consult a doctor. It seems like you are taking the right steps! I'm glad something like this is available for people. It would help put my mind at ease, that's for sure. I had a friend with epilepsy, that is so scary. I can't imagine trying to conceive and be pregnant with this condition! Thankfully you check prior and know what to do! This is not a familiar topic for me however I do have a cousin and a dear friend who suffer from epilepsy. I'll definitely pass this along to them. I'm glad to hear there were services available to you! This is such a helpful post for those with epilepsy. My brother in law has it and I know my sister was a little concerned when she had her first baby. I was just talking to my friend about pregnancy as my husband and I were thinking of starting to try to have kids in a year or so. We both mentioned how much there is to consider and how much there is to think about. I can imagine it'd be that much more challenging when you've got certain health conditions that require you to take precautionary measures. It's so great that you're as aware as you are (and that you've got someone to turn to when you need more support or need questions answered). What a very informative post. I don't have any experience with epilepsy or pregnancy, but found your article interesting. It sounds like you have amazing doctors, which is so important. This article is really helpful with exact point to all those with epilepsy. Thanks for sharing your experience. This is definitely something I had never even thought about. But I totally understand how having epilepsy while trying to conceive a child could be an area of concern. This was very informative. Best of wishes to you! I actually have a friend who has epilepsy and is doing well so I will pray for you guys! It is no joke but its great you have such great support. My friends sister had epilepsy and she said it was especially bad with the birth of her first child. She always said she wished she had some counselling, especially as he was born with Cerebral Palsy because they gave her bad medication. Well done for speaking out! I consider epilepsy quite a scary health condition, the aftermath of a seisure but also the defencelessness in case the seisure happens when alone. I can imagine that pregnancy while having epilepsy can be dangerous for the baby so it is always good to have a proper medical care and help. What an informative post. It is good to know you have done your homework. This sounds like such a helpful service and thats for sharing. Would be very helpful for moms to be facing similar condition! i can only imagine that it would have been tough and scary for you both! Wow, services like this are needed. But what are more needed are testimonies like yours to help others. Thank you for sharing. wow thanks for sharing and going into the detail of this. Great that you were brave enough to share your experiences and hopefully encourage others to have counselling to help prepare themselves emotionally and physically. Wow, hard decisions to make. I'm newly married and thinking of pregnancy in a year time, never new about pre pregnancy consultation. 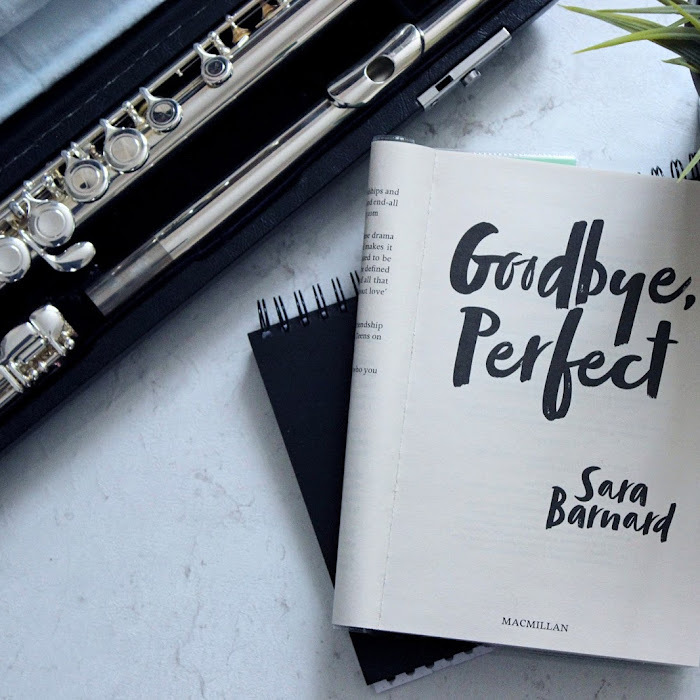 I read a ton of blogposts that don't serve to serve any purpose other than a self-serving purpose, so thanks for putting together a post that can clearly help others! I'm sorry to hear you have had trouble through your pregnancy. But glad to hear you are getting the proper support! Glad to know that counseling has been available in such kind of circumstance! Thanks for creating the awareness. So brave of you to go through this research and very helpful of you to share all of the findings to help others too. Continue to be strong. An informative post. I have no experience with epilepsy, but as we learn more about the condition, these services can be grown effectively to help people understand more about the potential risks and effects of pregnancy due to epilepsy. I'll pass this post on to my fried who suffers from epilepsy. Such an important read! This is such an important and directional post, especially those who have epilepsy and are thinking of becoming pregnant. So grateful that their is help needed. What a difficult predicament, but it's so wonderful to know that there is help and counselling can certainly help someone get the help they will need for such an important life event.